In a situation where we require personal data to comply with Spanish regulations to secure your booking we will hold your booking details on file for the purpose of communication about your specific booking. We keep information while you're our customer. We use your information to provide you with the booking details that you require. With a property owner or agent of an owner who provide us with the property you've chosen to use. When we have legal or regulatory requirements such as a request from law enforcement agency. i.e Guardia Civil or local police. We only collect information directly from you, such as information filled in within a booking form. We have always believed that we should be able to be contacted as easy as possible and not hide behind a website. All our contact numbers are below as well as a contact form and Skype call facility. You can email us or call us at anytime even weekends. Thank you so much for all your assistance in helping us to find and book this property. The service you have provided has been invaluable. Hi Kathy, Just wanted to email to say thanks for all your work. Answering my many emails haha arranging our taxi (our driver was really friendly and helpful) and the villa was wonderful. We hope to use your service again in the near future and I've already passed on your info to a few friends. We had a wonderful time. Hi Kathy, Thank you for all your assistance while we were in Capistrano Playa. the service you provide is always excellent, and makes arranging a holiday far less stressful that it can be. Everyone enjoyed their holiday thoroughly and our family loved their apartment, as did Tanya and I staying in the same apartment as last year. We would all recommend you to any family or friends looking to travel to the area. Dear Kathy & Pete - just a note to say I very much appreciate your help in arranging taxi transfer from Malaga to Nerja for me a couple of weeks ago - it made things so very much easier on arrival, especially when flying alone. I had a wonderful time in Nerja and certainly plan to visit again some time in the future, bringing my family this time. with very best wishes Kate McDonald. Dear Kathy/Pete, Would like you to thank the owner of the Villa Moderna for loaning it to my family for the week .We were thrilled with the villa and would also like to thank you for help and information that you gave us to make our short holiday enjoyable. We would have no worries about giving would be holiday makers your E.mail address and I feel that you would give anybody who were to holiday in nerja the information again. Kathy, Thanks again for your wonderful service! Hi I'm just writing to thank you for a great stay at the villa. Your help from the original enquiry to the taxis has been superb. The villa was amazing. We came out for a family wedding and my 89 year old nan stayed with us. She kept saying it's how millionaires must live. I would happily recommend your service anytime. I am seriously thinking of a return to this one soon. Thank you again for all your help Mark Sallis. Hi Kathy, Just wanted to drop you a line to say thank you very much for all your help with our recent holiday. We had a great time and everything went very smoothly. Nerja was just as nice as I remembered, but a bit bigger. We will be coming back again next year, but this time we would like a villa with a private pool. We will be in touch once we have had a look through all the lovely villas you have! Regards. Sarah Steward & Family. Dear Kathy, Thank you for your acknowledgement of receipt and for your very clear and comprehensive final details. Your cooperation throughout has been brilliant. Dear Kathy, I just wanted to write to tell you how impressed we were with the service that you provided to us from the taxi to the flats - it was all smooth sailing and with 5 children that is really important! Thank you so much for all your help - we will definitely be using you again. Brilliant Pete, thanks. So nice to deal with friendly efficiency. Dear Kathy Iâ€™m back in Switzerland. I would like to thank you again for your excellent service. Everything went perfectly. Kathy Had a lovely week (again) Grateful if you could pass on my thanks to the owner for the use of the apartment and for arranging for the keys to be left at the garage. Also to you for facilitating the booking. 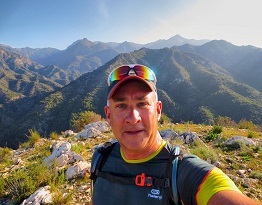 Hi Kathy, I had intended to drop you a note of thanks for all your help in setting up our recent stay in Nerja, but with the usual pressure when we got back I am only getting to it now. We had a most enjoyable stay, thanks in no small part to your attention to our needs. Many thanks for all your help we will no doubt be in touch at some point in the future. Kind regards, David and Therese. Hi Kathy, Just a note to thank you again for ensuring a hassle free stay including rescheduling our return taxi at short notice. Sorry I didn't get to chat further to you as we were just on our way out to town. The only drawback is that there are so many great places to eat! Will have to live on soup from now until Christmas to have any hope of being ready for the party season. Hi Kathy! We have received the refund from the car hire to our account! Thank you! We will absolutely return to you when we want to go to Nerja next time! We are so pleased with everything, could not be better! Have a nice fall and winter! Hello again Pete, Thank you for being so prompt and helpful - I simply cannot get flights at a reasonable price - when all is added up we simply cannot afford it - I have found a wonderful contact in yourselves and will get back to you for future bookings. Hi Kathy Thank you for the information. We are looking forward to our holiday. Thank you for all your assistance and the very smooth booking process. It has been a pleasure doing business with you. A co worker I had shown your site has booked to go to the same apartment complex in November. Once again thank you. Kathy Sorry we are going to have to let the apartment go flights just aren't working for us. Can I just say you have been a pleasure to deal with and couldn't have been more helpful. 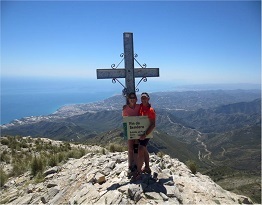 We have been to Nerja several times as have other members of my family. Anyone going again we will be sure to recommend you as a point of contact. Thanks again. Hi Kathy, Thank you very much for organising everything so efficiently for me - it makes life so much easier! I'm really looking forward to the holiday. Thank you so much Kathy - you're a star - don't know what I've have done without you! Will let you know about transfers. Thanks very much Kathy , I very much appreciate your time and efforts in helping us get what we wanted. Thanks so much Kathy, thatâ€™s just great. Such efficiency, very impressive indeed!!! I will contact you in a few days re car hire again. We will only need a small car this time. Kathy - thanks ever so much. Been a pleasure dealing with you. Cannot wait to get there now! John. 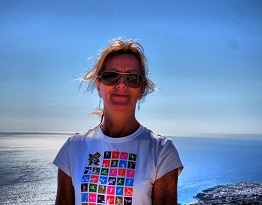 Hi Kathy Just a short email to say thank you for helping with all the preparation for our recent Nerja holidayâ€¦hard to think we are back home almost a week now! The villa was absolutely perfect for our needs and the Manager and staff at Reception were so friendly and helpful, even let us print off our boarding cards for our homeward flight. The car hire was just amazingly easy compared to the usual delay and red tape at the airport and again Pablo was so friendly and efficient, we will definitely be using this service again. As always, Nerja weaved its usual charming spell on us and our son, daughter-in-law and little granddaughter totally loved it. All in all, a really great holiday, so thanks again for all your patience and understanding during the preparation time many months ago. I am sure we will be in contact as soon as we are able to make our next trip back there. Ok, thank you! And thank you for excellent service and a wonderful holiday. What a house! What a place! Hei Kathy, We are back in Trondheim and I want to thank you so much for everything, it was...magic!!!! The kids were thrilled and wanted to stay more!!! And taxi service was excellent! Hope we will come back in Nerja! Hi Kathy, That's great news - We look forward to receiving the booking forms. Cheers again Kathy and thanks for your help. Will definitely recommend you to any friends and family coming to Nerja. 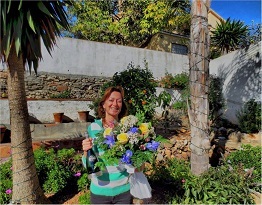 Hi Kathy, I have been back from Nerja for just over two weeks and think that it is about time that I wrote to thank you for making our trip to Nerja an enjoyable experience. In particular, your help during our stay, especially on the last day when you allowed us to stay beyond the normal check-out time, was of great assistance and ensured that our time with you was pleasurable. Should I or my friend wish to visit Nerja again we will not hesitate to get in touch. Hi Kathy All received thanks â€“ looking forward to it! We will text you when we arrive â€“ probably around lunchtime â€“ to sort out air con. Many Thanks again for your help â€“ we really are impressed with the service â€“ normally we use a travel agent but probably never again! Hi Kathy many thanks for all your help it's been such a lovely experience booking with yourselves. Hi Kathy.Would just like to say thank you, had a lovely holiday, all your arrangements worked like clockwork, much appreciated. Kathy I just wanted to thank you and Pete for all your help you gave us for our holiday we just had through you in Capistrano village, we loved the place, and you both made it easier for us to relax with all the ground work you did for us, it was very much appreciated. We are definitely returning to the village and will go through you both again to book a property. Hi Kathy, Just arrived home and I wanted to thank you for the most wonderful holiday experience. Our return taxi was fabulous as was the arrival taxi and the whole holiday was just perfect. People always talk about problems but I just wanted to tell you that the whole time spent in Spain has been perfect. I'd be more than happy to write a review in the appropriate place just let me know.